Before announcing a new Lumia (probably the 928) in a few days, Nokia has added another new entry to their Asha lineup, the 501 coming in 6 different bold colours with an attractive price tag of only $99. The Asha series, being very affordable, is aimed at emerging markets such as those in Latin America, India and Bangladesh. Sadly, according to Nokia it won’t be shipping to North America anytime soon but will be available in Europe. Weighing only 98g and measuring 99.2mm x 58mm x 12.1mm, the 501 comes with a 3” display with a QVGA resolution of 320 x 240 covered with hardened glass on the front. Users will have the option between choosing from two screens, the Home and Fastlane. Home screen is the traditional display with apps in an icon-based view, pretty much the traditional system. Fastlane screen is the new addition where it shows the recent accessed contacts, apps, social networks, overview of past and present activities etc. This feature totally depends on the user and is unique to each person. The phone comes with an LCD transmissive display technology with an aspect ratio of 4:3 having a pixel density of 133 ppi. From the pictures posted in their press release, the display looks impressively sharp in such a small device. The 501 comes with only a rear 3.2 megapixel camera with no front camera thus the user will not be able to make any video calls. 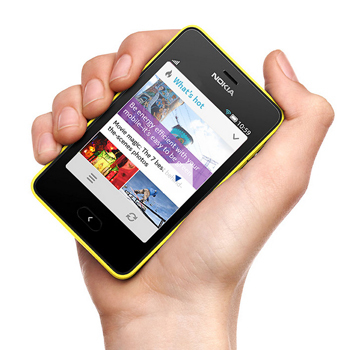 Here’s the catch, Asha does not run on the Windows Phone 8 OS, rather on Nokia’s own software specially made for Asha. It is very simple and looks very neat. However those who are used to Android or iOS would find this to be rather outdated. According to Nokia’s press release, lots of apps such as eBuddy, WhatsApp, Foursquare, Facebook, Nimbuzz, Twitter and more are heading towards Asha 501. Asha 501 will only support 2G as that’s widely available for the target market. With a 1200 mAh battery power, users will be able to talk for 17 hours, have 1152 hours of standby time and 56 hours of music playback time.The phone comes with a 4GB microSD card but users are able to expand that upto 32GB. It will be coming in either as a single or dual SIM version. If you’re craving for the Galaxy S4/ Blackberry Z10/ HTC One, you can safely overlook this phone but if you just want something simple, this would be a good buy. From my perspective, size does matter these days. As it would fit easily in your pockets, it wouldn’t be an obstruction to movement as some phones tend to be these days. Keep in mind that this is targeted to Indian subcontinent users, and not everyone has the capability of owning expensive smartphones. Most of the target market tend to use public transport a lot, and in areas where crime is rampant, carrying this small inexpensive phone wouldn’t cause too much of a headache. 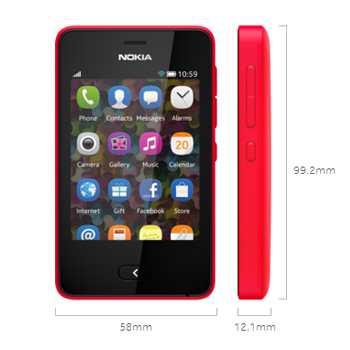 The Nokia Asha 501 will be available in coming June.